We, here at My Journey of Faith Ministries, are so excited to be with you as summer comes to an end and fall quickly approaches. This time of year always gives me a sense of excitement, a sense of fresh starts and possibility. I have many favorite stories in God’s Word, but those who know me know that one of my personal favorites takes place in John 4:1-42. In this chapter we see Jesus leave Judea, and travel in His usual radical way…taking the path avoided by all Jews, the path through Samaria. On this path, He stops at a well and takes a seat. He sits and waits for someone to come and draw water…deep in my heart, I believe He knew exactly who would be walking up the hill with her bucket. Slowly, a woman comes toward the well, walking alone, lugging her heavy water jar. This picture gives us some insight into who this woman is, as women typically come together to the well in the cooler part of the day. It is safe to say this woman was not accepted as part of the group. There are so many things I love about this story. I love that Jesus was waiting for her at the well. He didn’t just happen upon her, He intentionally sat down to wait there, in Samaria (a place despised by Jews, and vice versa), and He waited. I love that Jesus is radical and non-conformist to the standards of human justification. He didn’t care that this individual walking towards Him was a Samaritan. He didn’t care that He, as a Rabbi, was expected never to speak directly with a woman. He didn’t care that He was associating with someone who was most likely an outcast, which meant she was also most likely immoral. He didn’t care that she wasn’t a Jew. He saw her. He was there for a purpose, a mission, and that was to reveal and forgive sin. To bring salvation to the world. And she was in the world. Jesus made the most of every opportunity to stay on mission for God. This stop for a drink was no different. He took the time to share a special gift with this woman, revealing to her what He could do for her… He could give her “living water” that would fill her up so completely that she would never thirst again. He revealed to her the sin in her life, her immoral relationships with men and divorce. He corrected the religious confusion she had from years of incomplete and incorrect teaching at the hands of Samaritan law. He showed her who He is. I love this, I love it so much because this woman is me. I have struggled with immorality and sin in my life. I have wrestled with confusion and misguided religious legalism. I have felt like an outcast, lost and separated from God. I was rescued by Jesus by drinking the living water He gave me. I am this Samaritan woman. I love that Jesus Christ chose this lost, sinful, outcast…this Samaritan woman…to tell, for the only time until His trial before Pilot, that He is the Messiah. But most of all, I love what she did with her story. This woman witnessed Jesus Christ, the Messiah, the Son of God… she witnessed His ability to expose the true nature of our filthy hearts and pour cleansing, refreshing and renewing living water over it. She witnessed His wisdom, His love, and His grace. And she ran to tell about it. She dropped everything and told the people in her town what had happened… she told them her story. This is what our lives should be about. Spending time with Jesus Christ and telling others about it. Experiencing grace and mercy, and sharing our story with others. And here’s why…. John 4: 39 “Many of the Samaritans from that town believed because of the woman’s testimony…” Our stories of faith, grace, and our encounters with Jesus Christ reveal Him to others and help them believe. If we tell others about what He has done in our lives, revealed to us through our sin, or taught us in our circumstances, we are sharing our testimony just like the woman did. John 4: 40-41 goes on to say that because of what the woman shared, the people went to Jesus and spent time with Him for themselves. 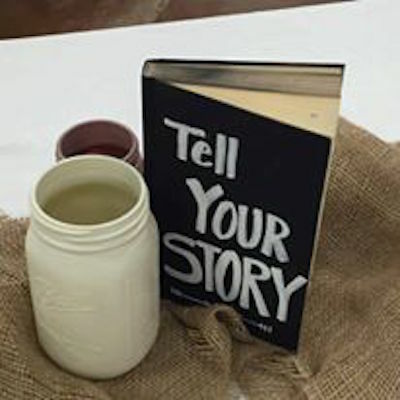 Our stories help bring people to Jesus, He does the rest. 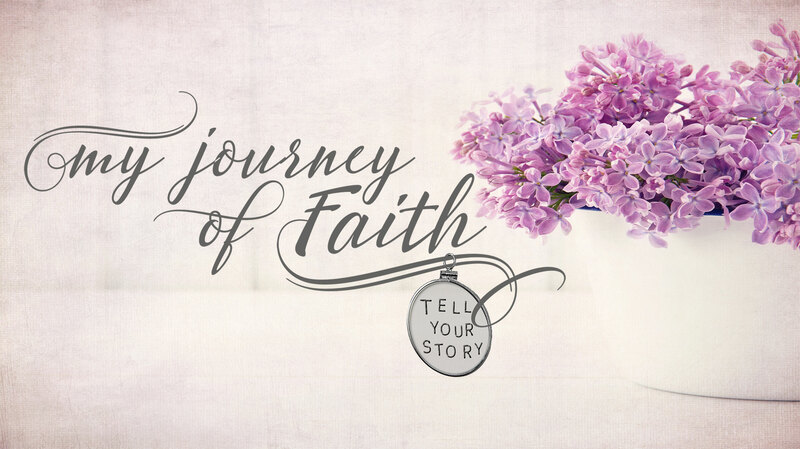 The women who are apart of this ministry are doing just that… sharing their encounters with Jesus, telling the testimonies of their journeys of faith. I am so thankful for their willingness to share and I pray that because of these stories…many will believe. Or at least seek Jesus out for themselves. If you have a story to share, please email me at mjofmagazine@hotmail.com or comment on our Facebook page, found here. Thank you for being a part of our journeys, and remember to encourage one another daily, as long as it is called today.